BigPoint publisher for Farmerama, is a Free to Play Virtual Farm Game. Offer to all the users these event for next week. Winifred Bear has got herself a new hobby: Floral Art! Help her put together the most beautiful flower arrangements that’ll even impress the bees! 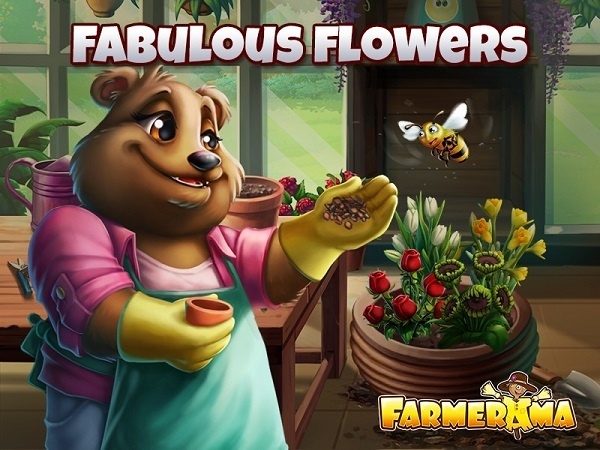 Collect as many Paper Bags and Flower Seeds as you can and produce Seed Packs during FARMERAMA’s Fabulous Flowers event, from 27th March until 2nd April. Farmerama is a 2D Free2Play Browser-Based MMO that give to the player the control of your own farm, animals, and Gardens. You will be the Farmer on Famerana.